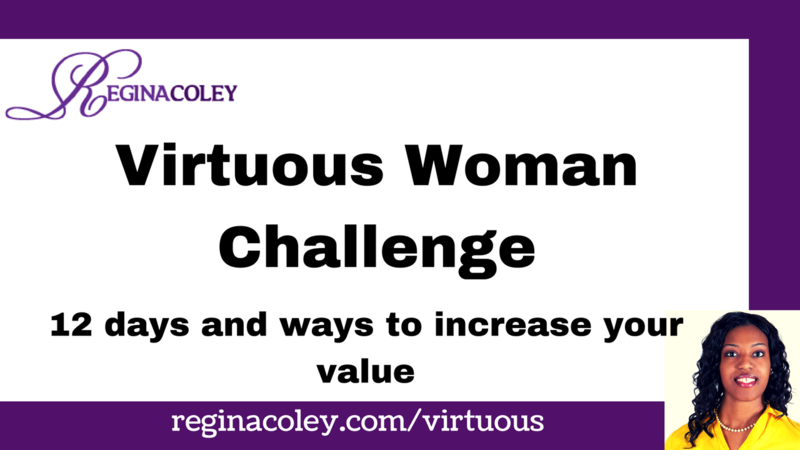 During the Virtuous Woman Challenge you will explore 12 days and 12 ways of increasing and restoring your value in who God created you to be. We will read and explore Proverbs 31 and set intentions on what it means to a woman of God. This challenge is not for any particular age group, denomination, race, or sexual orientation. It is for all women who desire change.